What else could the company (PR AOR Burson-Marsteller) do? The big news this morning — as you already know — is the fact that the co-pilot of the Germanwings flight that crashed earlier this week in the French Alps almost certainly intended to destroy the plane. 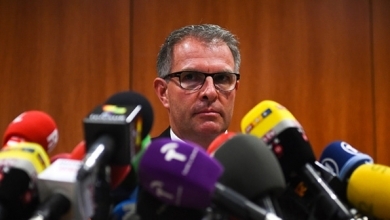 Carsten Spohr, CEO of parent company Lufthansa, stated three days ago that “we can only speculate” about the motives of Andreas Lubitz, who BuzzFeed “profiled” this morning. He also released a video statement yesterday with the hashtag #indeepsorrow. Today, however, the company — currently advised by Burson-Marsteller after the firm won a pitch for its European business less than a year ago — has responded directly to the new findings by French prosecutors. Spohr described his own reaction as “speechless,” noting that Lubitz had passed all related screenings. …but again Spohr says that “a company that prides itself on its safety record” can “only speculate” as to what made him do it. We would call Lufthansa’s crisis response “thorough.” What else can the company do?